NOTE: This content is old - Published: Monday, Jun 25th, 2018. 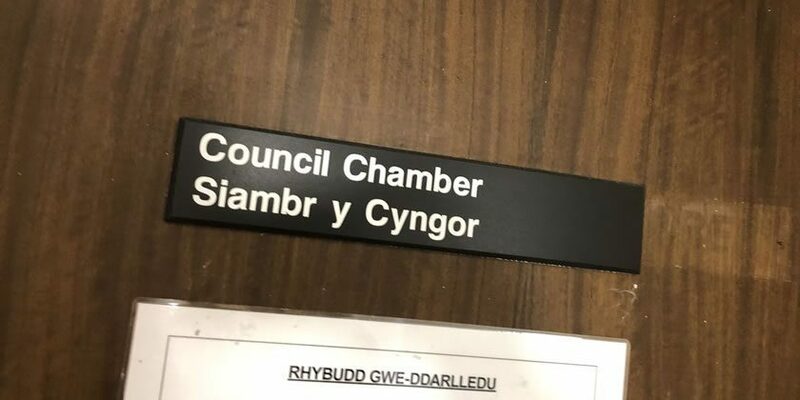 Flintshire Council has been criticised after discussions about the county’s libraries and leisure centres were held behind closed doors. In September last year the running of the local authority’s library, heritage and leisure facilities were transferred to a not-for-profit trust called Aura Leisure and Libraries Ltd.
Members of the council’s organisational change scrutiny committee were due to debate the employee-owned company’s annual report at a meeting today (Monday 25 June), where officers recommending to exclude the press and public for that item. However, the move was opposed by Hawarden resident John Butler who attended to call for the report to be heard in public, describing the proposal as ‘unacceptable’. “I note that in respect of item six…the council is proposing to exclude members of the press and the public. “I wish you to note, that as a resident of the county, a stakeholder in library services and a firm advocate of lifelong learning, this is not acceptable. “I wish to observe the process and scrutinise everything to do with the progress and costings of county library services in Flintshire. In response, the council’s Chief Executive Colin Everett warned that holding the debate publicly could give Aura’s rivals an advantage by disclosing commercially sensitive information. He said the public interest in not revealing the information, therefore, outweighed that in disclosing it. “It’s a challenge which was respectfully made, but Aura is now an independent organisation with its own right to privacy and provided its business case on the basis of that privacy being upheld. Councillors voted unanimously in favour of hearing the report in private. The decision for Aura to run services in the county was taken by the authority in July 2017 and saw the announcement of a £3m investment in sports and leisure facilities. The funding package included improvement work on all main leisure centres, as well as all-weather pitches at Mold Alun School and Hawarden High School, and upgrades to two of the six 3G pitches at Deeside Leisure Centre . The first phase of developments also involved plans for new health and fitness facilities at Mold Leisure Centre and Jade Jones Pavilion, including new changing rooms at the swimming pool in Flint. Flintshire Council said the move meant it was able to retain all of its leisure centres while reducing the annual budget by 30 per cent.